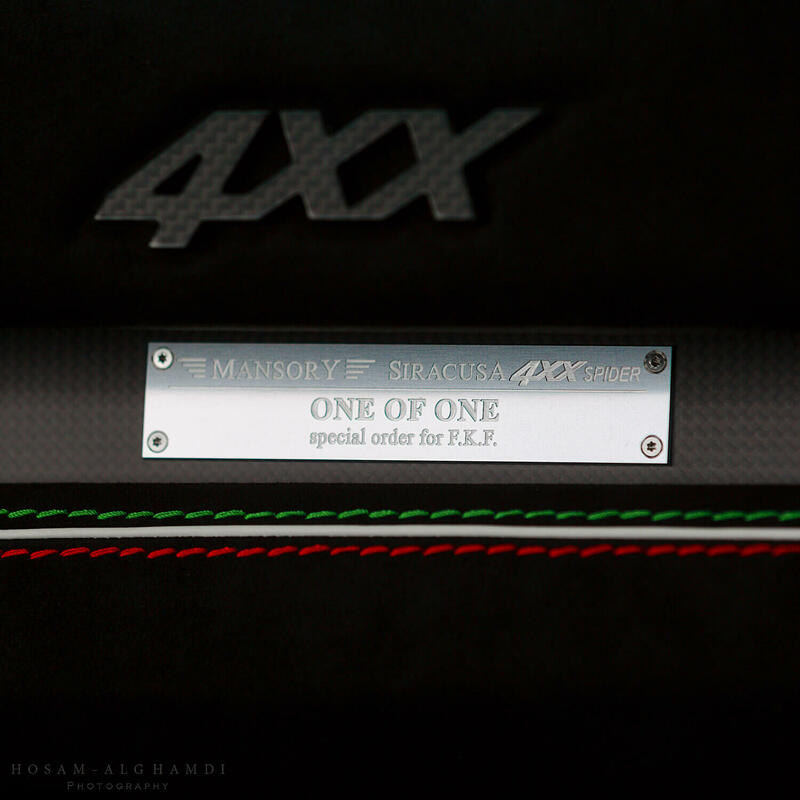 The Mansory Siracusa 4XX Spider is Mansory’s open-top version of the SIRACUSA supercar. 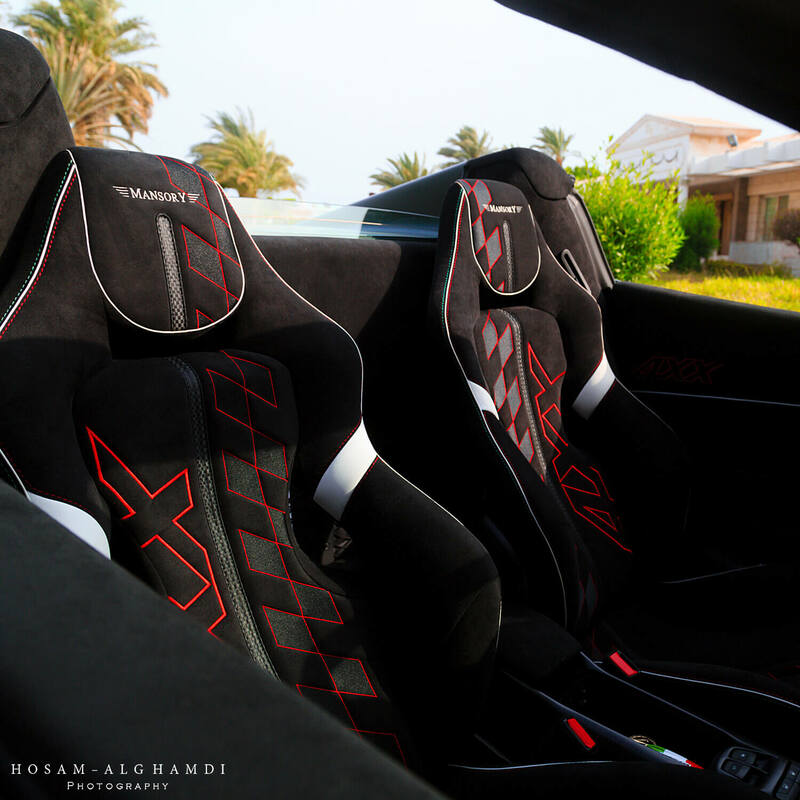 Based on the Ferrari 488 Spider – it’s a one-off special with Ferrari Blood and Mansory design and our man Hosam Al-Ghamdi has it all to himself in Saudi Arabia. 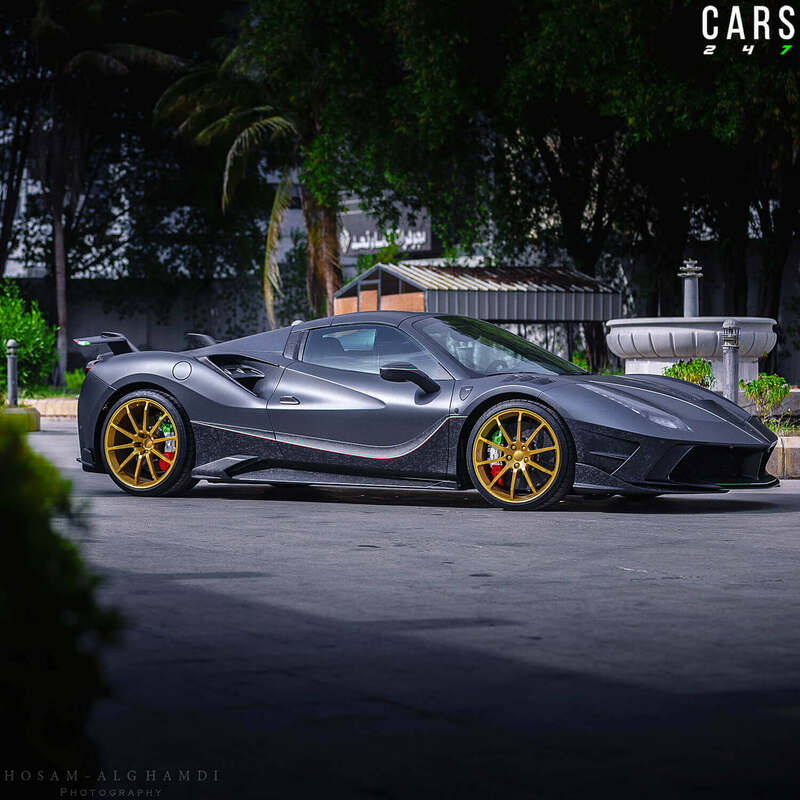 Mansory fully overhauls the Ferrari 488 Spider with the spectacular bodywork design seen on many of the recent Mansory creations. The engine, wheels and interior have also been given an impressive make-over giving the car a uniqueness expected of a one-off creation. The best proof of this is the entirely redesigned body design. 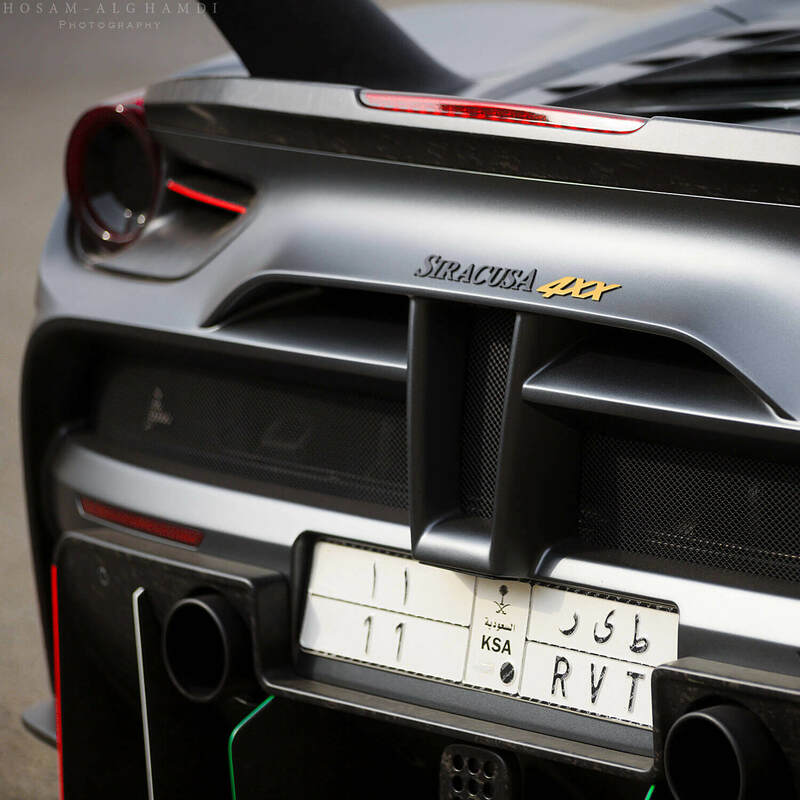 The most noticeable being the winged spoiler with the Tricolore and striking air inlets. 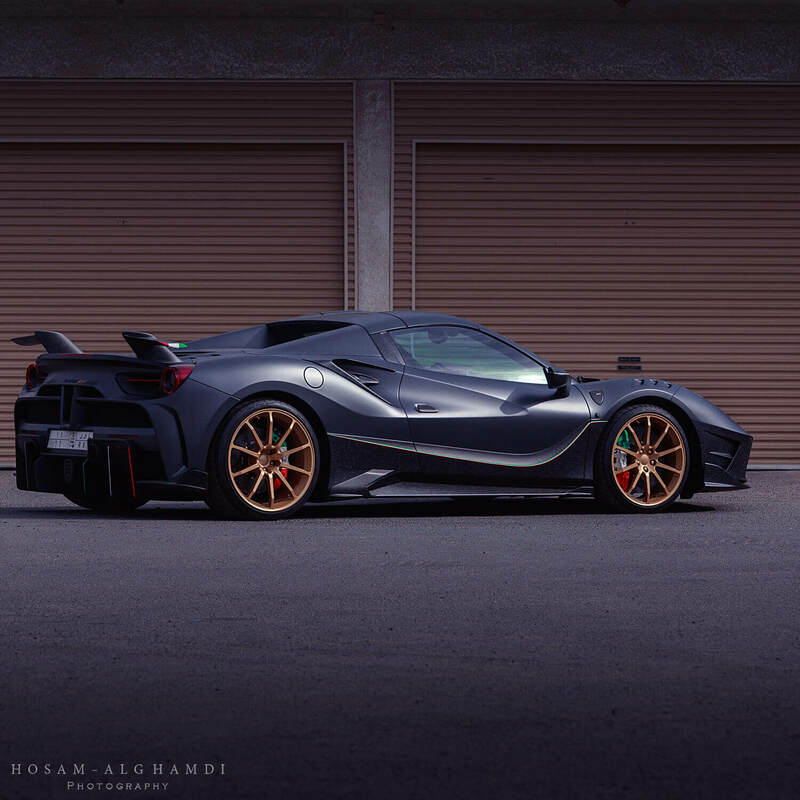 Other modifications include the specially developed carbon fiber front lip and side skirts, as well as carbon fiber rear-view mirror housing and front bumper bearing Mansory’s signature style. 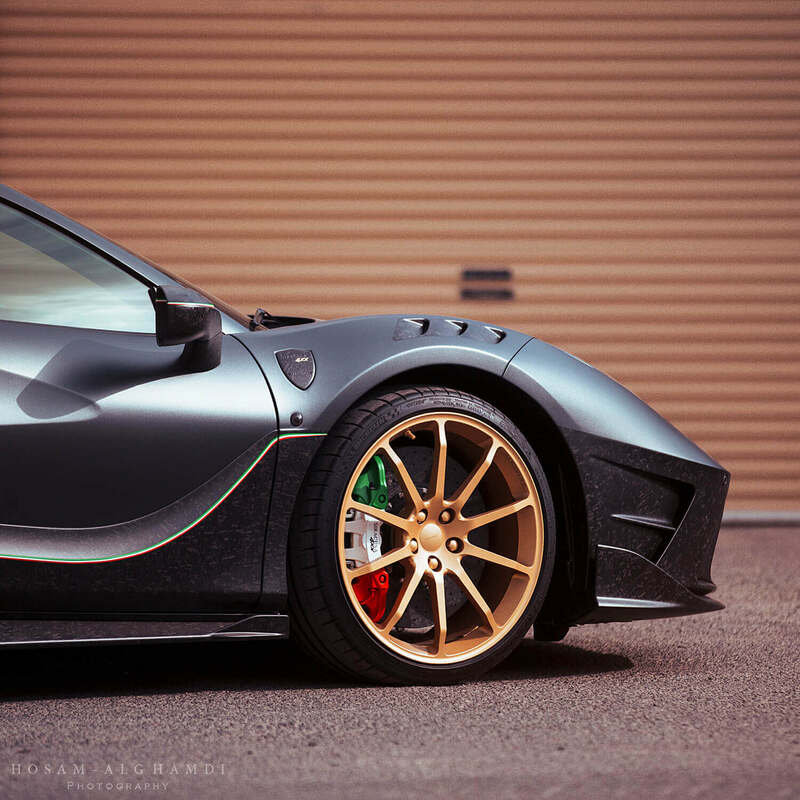 Mansory also paints the spider’s Collage Edition carbon fiber in Liquid Black and complements this through Tricolore accents. Ultra-light wheels play their part in both in visual and performance terms – the forged lightweight metal rims painted in Liquid Gold. At the front, 9×20 inch wheels support the high-performance tyres in size 255/30, while the rear wheels transfer the power of the engine onto the road using 325/25 tyres. The 3.9-litre engine in the 4XX is guided by an optimised engine management system and a specially tailored exhaust system. 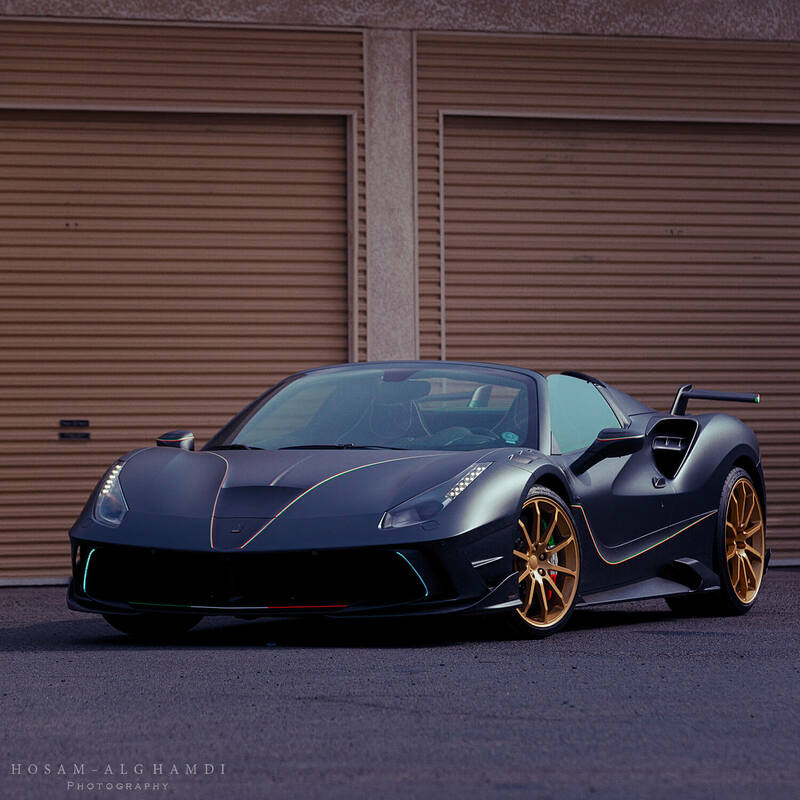 Combined, these provide a power of 780HP meaning the 4XX can go from 0 to 60 in a breath-taking 2.9 seconds and achieve a top speed of 210 mph. That is 10mph more than the ‘standard’ Ferrari 488 Spider. 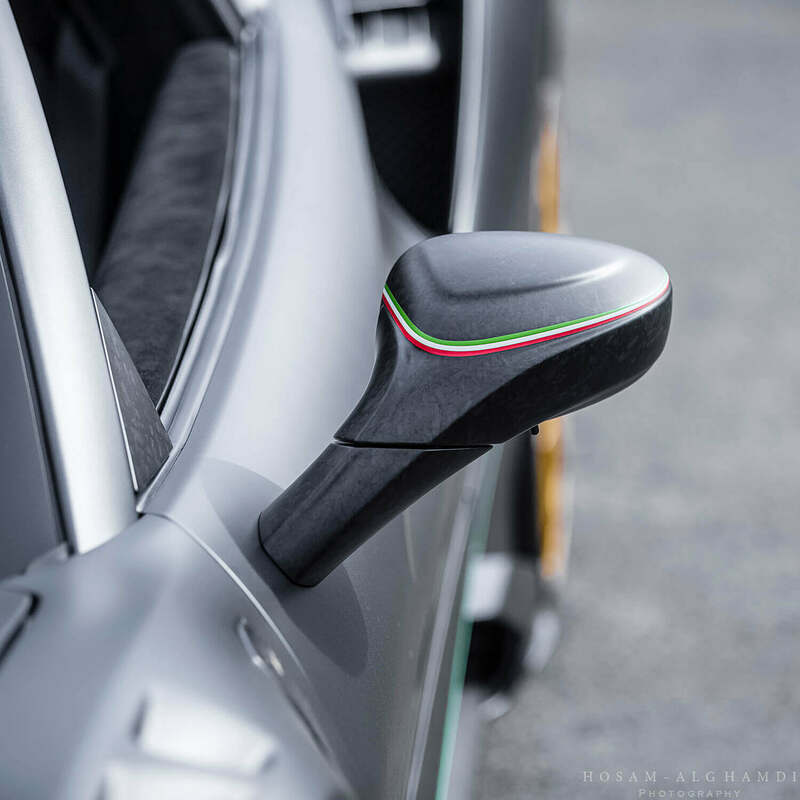 Within the interior, Mansory has continued the Tricolore theme with Italian colours running through the cabin. 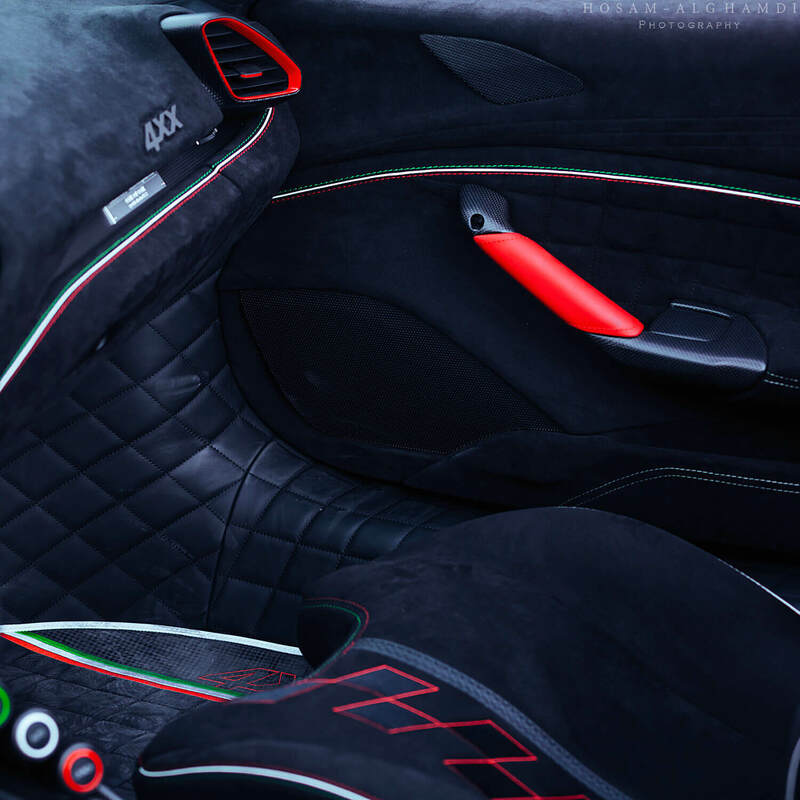 The interior of this supercar radiates luxury – all interior components are clothed in leather and accented using coloured stitching. 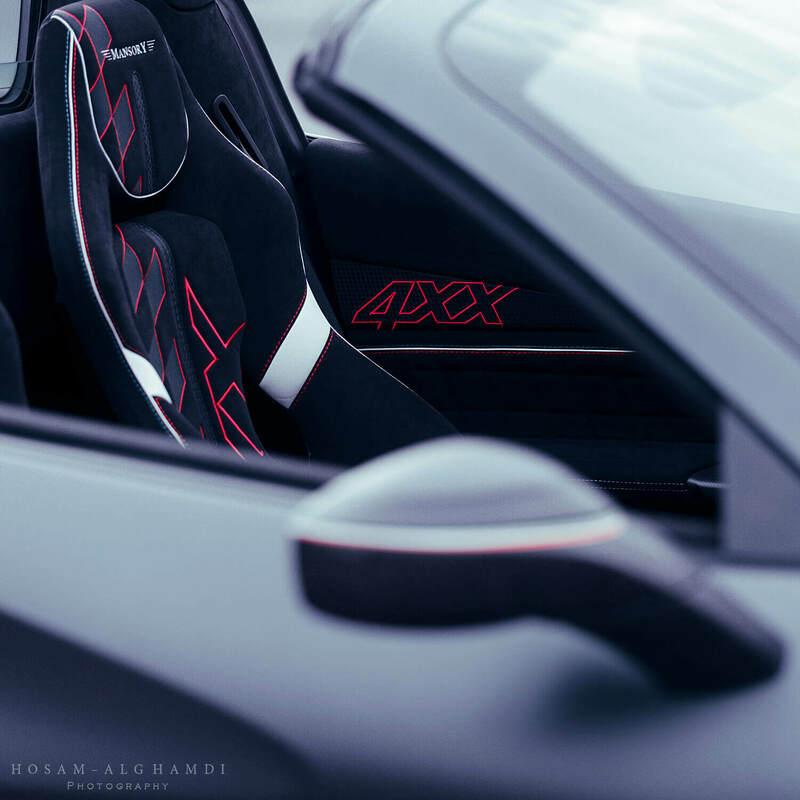 4XX logos on the seats, foot mats and door sill trims round off the refinement programme. The Mansory Siracusa 4XX Spider will be heading to Europe this summer with France and the UK destinations where you will be able to spot this awesome creation. Keep an eye on the Cars247 Instagram for updates.